While you are probably well aware of the location of your “funny bone,” as you have probably bumped it at least once in your life – most people are not familiar with the basic anatomy of the entire elbow. Because elbow pain can stem from several common activities, it is important to understand the basic anatomy of the elbow in order to further understand elbow pain. The elbow is located in the middle of the arm and is the joint where the three long bones of your arm meet. The three bones which meet at the elbow include the humerus (bone of the upper arm), ulna (inner bone of the forearm), and the radius (outer bone of the forearm). Because of frequent use of our elbow, and connecting arm bones, both in physical activity and just everyday use, there is always a possibility of injury and some could be worse than others. What are the types of elbow injury? Traumatic injuries which include dislocations, ligament/tendon ruptures, fractures, and more. Overuse injuries, also known as microtrauma, which include lateral and medial epicondylitis and tendinitis. Chronic conditions such as bursitis, osteoarthritis, and more. What are some common causes of elbow injury? excessive use of the elbow such as throwing, grasping, raking, hammering, among others. 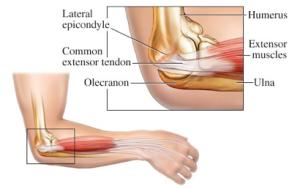 The most common reason for elbow surgery is “tennis elbow.” Accurately known as lateral epicondylitis, this condition occurs when the muscle tendons that extend your wrist and fingers becomes irritated with small tendon tears, causing a bump on the outside of your elbow. Another common condition that can stem from elbow pain is irritation of the nerves found in the neck. Located in your neck are the nerves that power the muscles attached to the outside of your elbow – tennis elbow could be the first sign that those nerves are pinched or irritated. What are the treatment options for elbow pain? 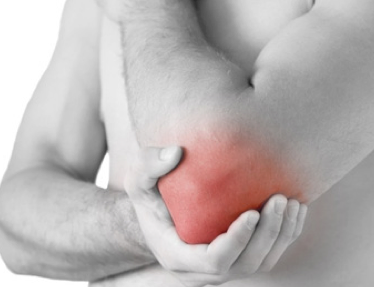 Currently, the most common treatments are steroid shots and tennis elbow surgery. However, tennis elbow surgery is quickly becoming a thing of the past and other treatment options are moving in. Prior to surgery consideration, patients experiencing elbow pain are commonly given a prescription such as Celebrex, Motrin, or Mobic or sent to physical therapy. When the physical therapy or prescriptions fail, the next step is a steroid injection. While this minimally invasive technique might not sound so bad, there are some potential negative side effects. The steroid shot can actually kill off the healthy tendon cells, leading to weaker tendons in the long run. It has also been shown in studies that the pain relief from a steroid injection is typically only good for a few months, then it will return even stronger than before. The other option – tennis elbow surgery – entails cutting small lines or holes, also known as “fenestrations,” in the tendon using a scalpel. However, a newer and much safer option has now become available – platelet rich plasma injections. Platelets from the patient are used to create the injection and it is administered using precise imaging guidance to ensure it is placed precisely in the affected area. This method of treatment has been shown to be much more effective and less risky than other treatment options, as listed above. 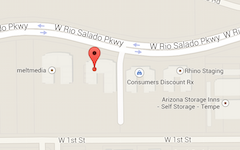 Dr. Adam Farber offers PRP therapy for elbow pain and is an expert orthopedic doctor in Phoenix, Tempe and Scottsdale. Call Phoenix Shoulder and Knee for top elbow PRP treatment for golfer’s elbow or tennis elbow!